Hayden Morse is a member of the Young Leaders Program at The Heritage Foundation. 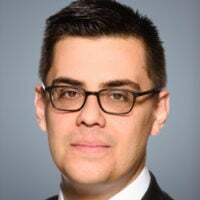 Frederico Bartels is a policy analyst for defense budgeting at The Heritage Foundation's Davis Institute for National Security and Foreign Policy. When Americans buy plane tickets, they shop around to find the deal that best suits their needs and save a lot of time and money as a result. But for the past 10 years, the federal government has been unable to shop around for commercial services. 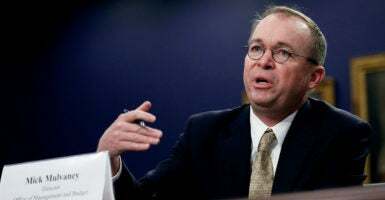 The Office of Management and Budget established something called Circular A-76 as a way for government agencies to save millions through fair competition between the public and private sectors for a commercial activity. The process forces both parties to re-organize for optimal efficiency, which generally leads to substantial savings through the introduction of market discipline. An A-76 process requires the government agency that provides a given service to re-organize itself into what is called a Most Efficient Organization, one more efficient than outside contractors could be, or else turn over the task of providing the service to those contractors. The cost of providing the service after the agency has re-organized itself serves as the government’s bid for that work and the baseline the private sector must beat to win the contract. Creation of these organizations serves as a catalyst to rethinking how the government performs commercial service. The process starts with a determination of what activities would be eligible for competition, so each government agency divides its work between commercial and governmental functions. The focus is on commercial activities such as installation services, education and training services, property maintenance services, or transportation services. It leaves work that involves state power untouched; these are called inherently governmental functions. Inherently governmental functions, in which state power is used to forward the public interest, will continue to be performed by government employees, but commercial functions could be subject to this competitive process. Since management decides which functions may be subject to competition, government will maintain some commercial functions. This process governs all of the federal government, but historically the Department of Defense has been its biggest user, both in volume and resources. The diversity of the workforce competition of the Defense Department—with military personnel, civilian employees, and contractors all heavily involved—means the department’s managers are more used to the type of decisions made through an A-76 competition. The A-76 process can save money and make government more efficient, but it has not been used for years. In 2008, the process was prohibited as a reaction to shortages in medical staff at Walter Reed Hospital that led to a decrease in services. But those problems were related to how the competition was run, rather than the competition itself. Since then, Congress simply has bowed to the wishes of public-sector unions. Many of them have opposed any competitive process to assess whether commercial work is performed more efficiently in the government, and this deferral to unions has left A-76 on the shelf for 10 years now. The process could use some reform, especially when it comes to determining the baseline costs for the Most Efficient Organization. The government has had problems in determining overhead costs for the initial bid because there is little experience in the public sector at accurately determining this. Better data management resources when assigning a project would fix the problem. If Congress were to lift the prohibitions on A-76 competitions, agencies would regain one tool that helps them determine the most effective way to purchase goods and services in the market. Congress should end the A-76 moratorium, lead a process to construct a fairer, more balanced system, then work to improve the process. These competitions have enormous savings potential and should be a useful option for governmental agencies. Congress should share the goal of spending taxpayers’ dollars efficiently and effectively.